If the twentieth century saw the rise of Big Science, then the seventeenth and eighteenth centuries were surely an age of thrift. As Simon Werrett's new history shows, frugal early modern experimenters transformed their homes into laboratories as they recycled, repurposed, repaired, and reused their material possessions to learn about the natural world. 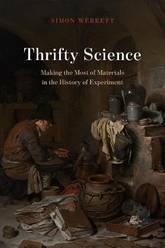 Thrifty Science explores this distinctive culture of experiment and demonstrates how the values of the household helped to shape an array of experimental inquiries, ranging from esoteric investigations of glowworms and sour beer to famous experiments such as Benjamin Franklin's use of a kite to show lightning was electrical and Isaac Newton's investigations of color using prisms. Tracing the diverse ways that men and women put their material possessions into the service of experiment, Werrett offers a history of practices of recycling and repurposing that are often assumed to be more recent in origin. This thriving domestic culture of inquiry was eclipsed by new forms of experimental culture in the nineteenth century, however, culminating in the resource-hungry science of the twentieth. Could thrifty science be making a comeback today, as scientists grapple with the need to make their research more environmentally sustainable? 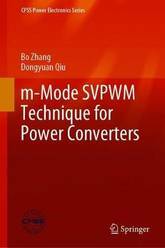 This book presents a novel control method for power converters, referred to as m-mode control. It provides an overview of traditional control methods for inverters - e.g. PWM and SVPWM - and the theory of the m-mode control method, while also discussing and applying m-mode control on various types of converters (including three-phase, nine-switch, five-leg and multi-level inverters, PWM rectifiers and modular multi-level converters). 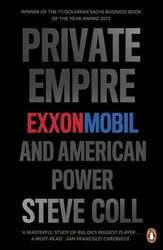 The book provides readers with sufficient background and understanding to delve deeper into the topic of SVPWM control. It is also a valuable guide for engineers and researchers whose work involves power converter control. 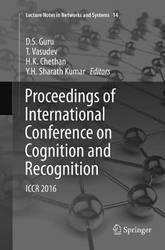 The proceedings present selected research papers from the CIAC'17, held in Tianjin, China. 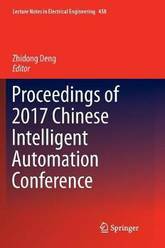 The topics include adaptive control, fuzzy control, neural network based control, knowledge based control, hybrid intelligent control, learning control, evolutionary mechanism based control, multi-sensor integration, failure diagnosis, reconfigurable control, and etc. Engineers and researchers from academia, industry, and government can gain valuable insights into solutions combining ideas from multiple disciplines in the field of intelligent automation. 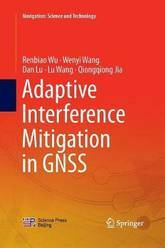 This book introduces readers to adaptive interference mitigation techniques based on multiple antennas for global navigation satellite systems (GNSS) in the time, domain, spatial and spatial-temporal domains. As the performance of GNSS can easily be impacted by various intentional and unintentional interferences, the book explores in detail various types of interference, including jamming , high dynamic jamming, spoofing, multipath and pulsed interference. It offers a valuable reference work for graduate students and engineers in the field of satellite navigation and signal processing. 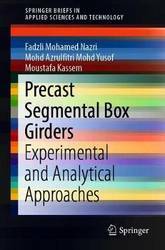 This book explores the fundamentals of the elastic behaviour of erected precast segmental box girders (SBG) when subjected to static load, as well as the construction process (casting and erection work) involved. 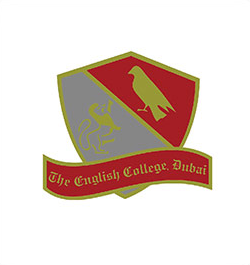 It analyzes and compares the experimental results with those obtained using the finite element method and theoretical calculations. A short-term deflection analysis for different loads is obtained by determining the maximum deflection, stress and strain value of single span precast SBG under a variety of transversal slope. The outcome of this work provides a better understanding of the behaviour of precast SBG in terms of structural responses as well as defects, so that maintenance work can then be focused on the critical section at mid span area specifically for the bridge project longitudinally and transversely. The book is of interest to industry professionals involved in conducting static load tests on bridges, and all researchers, designers, and engineers seeking to validate experimental work with numerical and analytical approaches. 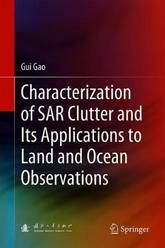 This book discusses statistical modeling of single- and multi-channel synthetic aperture radar (SAR) images and the applications of these newly developed models in land and ocean monitoring, such as target detection and terrain classification. It is a valuable reference for researchers and engineers interested in information processing of remote sensing, radar signal processing, and image interpretation. This book is based on the 18 invited tutorials presented during the 27th workshop on Advances in Analog Circuit Design. Expert designers from both industry and academia present readers with information about a variety of topics at the frontiers of analog circuit design, including the design of analog circuits in power-constrained applications, CMOS-compatible sensors for mobile devices and energy-efficient amplifiers and drivers. For anyone involved in the design of analog circuits, this book will serve as a valuable guide to the current state-of-the-art. 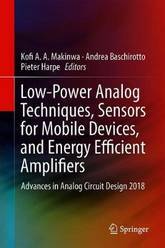 Provides a state-of-the-art reference in analog circuit design, written by experts from industry and academia; Presents material in a tutorial-based format; Covers the design of analog circuits in power-constrained applications, CMOS-compatible sensors for mobile devices and energy-efficient amplifiers and drivers. Over the last decade, GIS (geographical information systems) has established itself as a collaborative information processing system that is increasing in popularity. Yet this interdisciplinary field is not available to the vast community of students and academicians as a subject of study. This book addresses the GIS user domain encompassing students, users, and engineers. Important aspects of geographical information science (GISc), which is the basis of GIS, are explained. The book aims to capture the basics of GIS from the point of view of a student. The requirements of GIS have been explained keeping in mind the general user's level of knowledge. 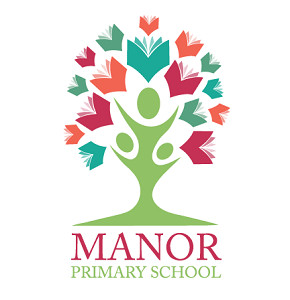 The processing capability of GIS along with the mathematics and formulae involved in arriving at a solution are explained for students and cartographers. The work flow of the whole system, its output, and applications are illustrated from an engineer's point of view. Real time imaging techniques have assisted materials science studies especially for non-ambient environments. These techniques have never been collectively featured in a single venue. 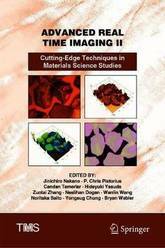 The book is an assembly of materials studies utilizing cutting edge real time imaging techniques, emphasizing the significance and impact of those techniques. 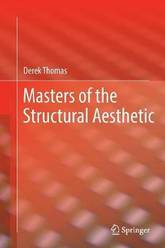 This book highlights aesthetics as pertaining to the structural component in architectural design. This less explored aspect of architecture is discussed and explains the enduring qualities of ten specific buildings from architectural history to present day due to their structural aesthetics. Based on comprehensive research, a critical analysis is presented of the constraints and other influences on architectural and structural design, such as culture, patronage, geometry, available resources and technologies. 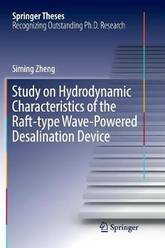 This thesis proposes a new raft-type wave-powered desalination device that can convert wave power into hydraulic energy and use reverse osmosis (RO) to directly desalinate seawater. Both analytical and numerical methods are used to study the hydrodynamic characteristics of the device. Further, the thesis investigates the maximum power extraction and multiple parameter effects on power absorption and averaged permeate water flux. Lastly, it proposes and assesses two power extraction enhancing strategies. The thesis offers a valuable and important reference guide to ocean-wave-and-structure interaction and wave-powered seawater desalination for scientists and engineers alike. 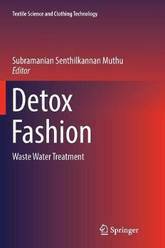 This third volume on detox fashion highlights sustainable wastewater treatment methods, as well as techniques used by and the adoption of detox strategies by different brands in the textile sector. These aspects are addressed in three central chapters: Sustainable Wastewater Treatment Technologies; Review of the Utilization of Plant-based Natural Coagulants as Alternatives to Textile Wastewater Treatment; and New Waste Management through Collaborative Business Models for Sustainable Innovation. 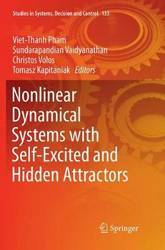 This book highlights the latest findings on nonlinear dynamical systems including two types of attractors: self-excited and hidden attractors. Further, it presents both theoretical and practical approaches to investigating nonlinear dynamical systems with self-excited and hidden attractors. 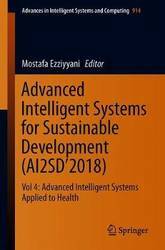 The book includes 20 chapters contributed by respected experts, which focus on various applications such as biological systems, memristor-based systems, fractional-order systems, finance systems, business cycles, oscillators, coupled systems, hyperchaotic systems, flexible robot manipulators, electronic circuits, and control models. Special attention is given to modeling, design, circuit realization, and practical applications to address recent research problems in nonlinear dynamical systems. The book provides a valuable reference guide to nonlinear dynamical systems for engineers, researchers, and graduate students, especially those whose work involves mechanics, electrical engineering, and control systems. 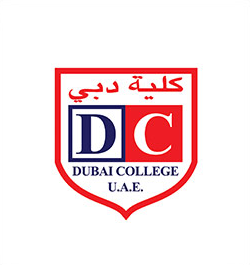 This thesis studies the effects of superplasticizers, polyacrylate latexes and asphalt emulsions, which differ in molecular/particle size from nanometers to microns, on the rheological properties of fresh cement pastes (FCPs), as well as the action mechanisms involved. It systematically investigates the rheological properties and microstructure of cement-based materials, and elucidates the adsorption behaviors of polycarboxylate polymers with different functional groups and their effects on cement hydration. Moreover, it reveals how the working mechanism of naphthalene sulfonate formaldehyde (NSF) differs from that of polycarboxylate ether-based (PCE) superplasticizers. Lastly, it develops a conceptual microstructure model and two rheological equations. 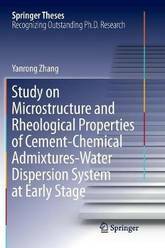 These findings lend theoretical support to the development of new chemical admixtures and new, higher-performance, cement-based composites. 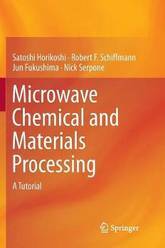 The principal aim of this book is to introduce chemists through a tutorial approach to the use of microwaves by examining several experiments of microwave chemistry and materials processing. It will subsequently enable chemists to fashion their own experiments in microwave chemistry or materials processing. Microwave heating has become a popular methodology in introducing thermal energy in chemical reactions and material processing in laboratory-scale experiments. Several research cases where microwave heating has been used in a wide range of fields have been reported, including organic synthesis, polymers, nanomaterials, biomaterials, and ceramic sintering, among others. In most cases, microwave equipment is used as a simple heat source. Therefore the principal benefits of microwave radiation have seldom been taken advantage of. One reason is the necessity to understand the nature of electromagnetism, microwave engineering, and thermodynamics. However, it is difficult for a chemist to appreciate these in a short time, so they act as barriers for the chemist who might take an interest in the use of microwave radiation. 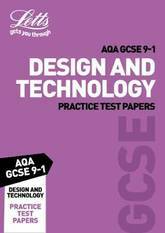 This book helps to overcome these barriers by using figures and diagrams instead of equations as much as possible. 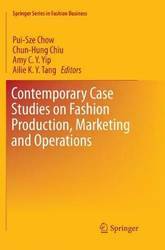 This book adopts a case study based research approach to examine the contemporary issues in the fashion industry. 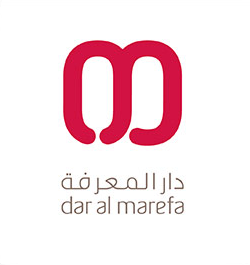 It documents real-world practices in fashion business from production, marketing to operations. Founded on an extensive review of literature, these case studies discuss the challenges that are pertinent to the current business environment in this important industry, provide benchmarks and generate insights to practitioners as well as suggest future directions to researchers. The book serves as a nexus of the theories and the industrial practices that advances knowledge for both the academia and the private sector in fashion business. 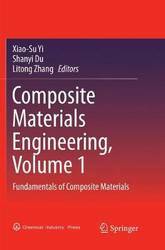 This book is the first of two volumes providing comprehensive coverage of the fundamental knowledge and technology of composite materials. It covers a variety of design, fabrication and characterization methods as applied to composite materials, particularly focusing on the fiber-reinforcement mechanism and related examples. 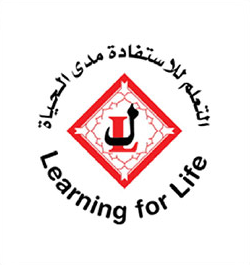 It is ideal for graduate students, researchers, and professionals in the fields of Materials Science and Engineering, and Mechanical Engineering. 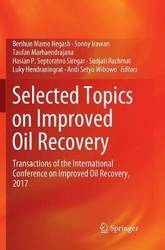 This book presents articles from the International Conference on Improved Oil Recovery, CIOR 2017, held in Bandung, Indonesia. 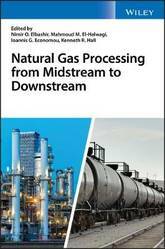 Highlighting novel technologies in the area of Improved Oil Recovery, it discusses a range of topics, including enhanced oil recovery, hydraulic fracturing, production optimization, petrophysics and formation evaluation. 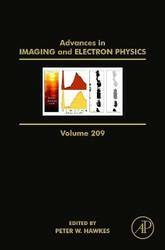 Advances in Imaging and Electron Physics, Volume 209, merges two long-running serials, Advances in Electronics and Electron Physics and Advances in Optical and Electron Microscopy. The series features extended articles on the physics of electron devices (especially semiconductor devices), particle optics at high and low energies, microlithography, image science, digital image processing, electromagnetic wave propagation, electron microscopy and the computing methods used in all these domains. 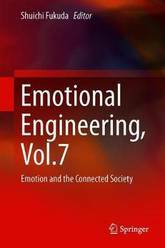 This book demonstrates that emotion is a highly influential component in creating a new society and new engineering, revealing the importance of emotion in various aspects of the Connected World. 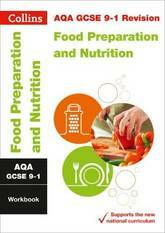 It addresses a wide variety of topics, but with this one underlying aim throughout. Further, it stands out for the approach it takes to the Internet of Things and the Connected Society. The contributing authors illustrate that humans are essentially either playmakers or playing managers, with teamwork and play being crucial aspects of our lives. They argue that strategy is becoming increasingly important, and consider the most adaptable strategy, one that will allow us to respond to today's quickly and radically changing situations. 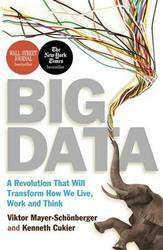 The book is particularly focused on the Connected Society as the point of departure, and explores what motivates humans, what decisions they should make, and what actions they should take. With engineering quickly moving from product development to experience development, and the role of emotion in engineering becoming increasingly apparent, this book offers a timely and valuable resource for engineers and researchers alike. Biological Treatment of Microbial Corrosion: Opportunities and Challenges explores the latest biological approaches to microbial corrosion and its inhibition. The book provides comprehensive information on the current knowledge of microbes involved in corrosion and their mechanisms of action on corrosion induction and inhibition. This information is helpful for a wide range of audiences, from university researchers, to industry specialists. The book discusses foundational information about corrosion and microbiologically influenced corrosion and its importance. 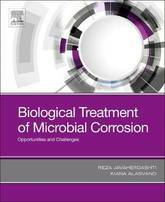 Other chapters provide an in-depth review of corrosion causing microorganisms, their properties and their mechanism of involvement in MIC. Updated findings on the biological treatment of corrosion are addressed, as are future opportunities and challenges that could lead to prosperous, sustainable and secure industrial application of these techniques. 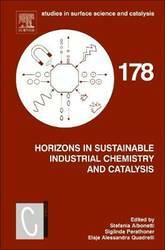 Horizons in Sustainable Industrial Chemistry and Catalysis, Volume 178, presents a comprehensive picture of recent developments in terms of sustainable industrial processes and the catalytic needs and opportunities to develop these novel routes. Each chapter includes an introduction and state-of-the-art in the field, along with a series of specific aspects and examples. The book identifies new opportunities for research that will help us transition to low carbon and sustainable energy and chemical production. Users will find an integrated view of the new possibilities in this area that unleashes new possibilities in energy and chemistry. 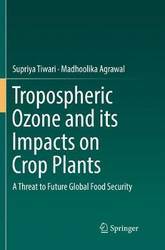 The research and its outcomes presented here focuses on tropospheric or ground level ozone, in particular due to its surfacing as a major threat to crop productivity around the world. 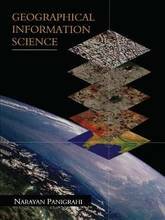 This book presents the ozone concentration data for a variety of geographical regions, examines the factors responsible for its increasing concentrations and its potential effects on physiological and biochemical responses culminating in crop productivity losses which, in turn may pose a serious threat to global food security. Beside this, certain ameliorative measures that could be adopted to assess ozone injury in plants are also discussed. Global climate change scenarios predict a significant increase in future tropospheric ozone concentration. Particular attention is therefore given to evaluate the effect of global climate change on ozone concentrations. 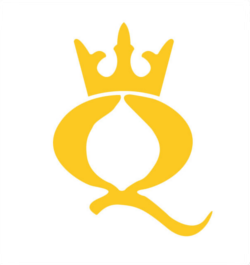 Readers will also discover how yield losses due to ozone are related to changes in the socio-economic conditions of the society, especially in South Asian regions. Students and researchers studying crop and soil science, environmental scientists, risk assessment professionals and policy makers will find this book of interest.